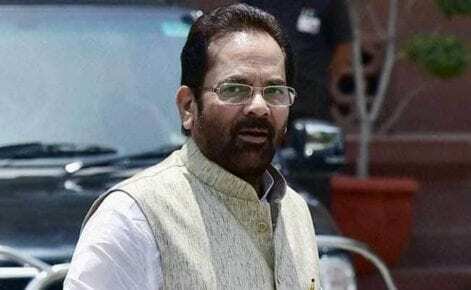 Union minister Mukhtar Abbas Naqvi on Monday attacked the Congress, saying that carrying the “veil of secularism” and the “bag of communalism” was the “brand new Identity” of the grand old party. 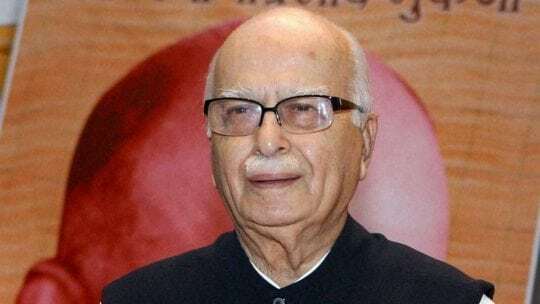 Talking with a delegation of Muslim community members in the national capital, he claimed that the real face of the Congress was “road par tilak, room meintopi” (wearing tilak on the road and a skull cap inside the room). The minority affairs minister stated, “inclusive growth” was the ‘rashtraniti’ (national policy) and the safety and prosperity of India the “rajdharma” of the BJP. “We are taking the country forward on the path of becoming ‘vishwaguru’ (world leader),” he was quoted as saying by a statement from his office. Mr. Naqvi said that the Congress and its leaders were suffering from “bankruptcy of logic and facts”. Their language in the election campaigning has proved that they don’t have any issue to raise against the BJP and Prime Minister Narendra Modi, he said. Carrying the “veil of secularism and bag of communalism” is the “brand new identity” of the grand old Congress party, Mr. Naqvi alleged. He stated the Modi government from its first day, has been working, keeping in mind the development of villages, farmers, women, and youth. Now, every needy person of the society has become an equal partner in the development process, he said. The government has completed record development works breaking all the barriers of caste, region, and religion, he claimed. Mr. Naqvi also listed a number of welfare works of the government. “32 crore 80 lakh bank accounts have been opened under the Pradhan Mantri Jan Dhan Yojana; 14 crore 16 lakh loans worth Rs. 6 lakh crore have been given under Pradhan Mantri Mudra Yojana; 8 crore 67 lakh toilets have been built under Swachh Bharat Abhiyan; 15 crore 87 lakh soil health cards have been distributed,” he said. Mr. Naqvi also highlighted other necessary works such as 5 crores 58 lakh free LPG gas connections distributed among poor people and 3 lakh poor people given medical facilities in two months of the start of the Ayushman Bharat Yojana. He said that needy, the poor, backward sections, including minorities, have benefited the most from these welfare schemes.